Having, by his own admission, “a pair of pliers in shorts” for legs, Judd squatted a mind boggling 603 pounds at a mere 130 pounds of bodyweight. That is 4.64 times his bodyweight. At 44 years of age. After a seemingly career-ending back injury and surgery. Judd did it back in 1989—and his achievement is still in the Top 20 All Time Historic Squats in his class. And is likely to stay on this list for a long time. I have had the privilege of being Judd’s friend for over a decade. I have met very few human beings as warm and kind as this fine gentleman. A uniquely balanced individual, Dr. Judd has taken his spiritual, intellectual, and physical development to extreme heights. Dr. Judd’s mental training advice will stand the same test of time. PSYCH was written in the eighties, the golden age of strength. If anything better or even close to PSYCH has been written since, I certainly have not seen it. Iron game insiders like Marty Gallagher will tell you the harsh truth about strength training—it does not get better than the eighties, the era of Coan. PSYCH is 100% psychobabble-free. It is the step-by-step manual to athletic superiority for men and women who take charge. The author became a world champion and record holder in a sport for which he had zero genetic predisposition—using the meticulously researched and professionally applied strategies he reveals on the pages of PSYCH. It is not for people who desire to align their chakras with their Zodiac signs or wish to figure out why it is their parents’ fault. PSYCH is for strong men and women who choose to be even stronger. I vividly remember the first time I saw him. It was at the All-Star Powerlifting Championships in Statesboro, Georgia. The pre-competition scene was typical of most powerlifting meets. The air was charged with excitement and nervousness. Competitors were screaming, pacing, and sniffing ammonia capsules. All of them were burning up valuable energy, except one. Judd Biasiotto lay asleep on a foam pad. The weight being lifted on the platform reached 450 pounds, yet Biasiotto, who was competing in the 132-pound class, remained fast asleep. When but five lifters had yet to lift, Biasiotto’s coach woke him up. He rose, pulled up the straps of his suit, and started wrapping his knees. I had to laugh. How could such a strong athlete be so foolish as to miss his warm-ups? “Just another powerlifting moron,” I thought. “That’s all this clown is.” But when Biasiotto stepped on the platform to attempt his opening lift, my opinion changed drastically. Within 10 seconds, he brought about a physiological transformation that could only be described as bizarre. His facial features seemed to change before my eyes. The hair on his arms and legs stood up, and his breathing became deep and rhythmic. His muscles actually seemed to increase in size. The whole scene was a little scary. Without a single warm-up, Biasiotto unracked the weight, descended, and then exploded up with it for a new ADFPA National record. The lift was ridiculously easy. Eight more times during the meet, Biasiotto repeated his astonishing transformation, and eight more times he made seemingly effortless lifts. By the end of the day, Biasiotto had surpassed 7 ADFPA National records and captured the outstanding lifter’s award. He left me and 1,500 others wondering where he got his power. Who was this man? I’ve never seen an athlete get more out of himself than Biasiotto. Looking at him, it would appear that he was a tennis player, or a golfer, indeed not a powerlifter. His muscularity is minimal; however, his strength is awesome. His mental control is something to behold, and something that more lifters need to develop. He seemed capable of changing his mood at a moment’s notice. It is the closest thing I’ve seen to the David Banner—Hulk transformation that appeared on television. Perhaps this explains how the Hulk and Biasiotto are capable of performing such outrageous strength lifts. Actually, Biasiotto’s lifting, which consisted of many records, was not half as exciting to me as his mind over matter control. I often wondered how Judd was able to bring about such changes. Was it hypnosis or was it some other mind control technique? I wanted to know for certain, and I wanted to be able to use that type of control for my own lifting. I contacted Judd. I found him to be intellectually stimulating and more than helpful. We became close friends, and I discovered a few things about him that I can only describe as amazing. He holds a master’s degree in exercise physiology and a doctorate in sports psychology. Furthermore, he has worked with professional baseball teams and numerous athletes in a number of sports. His articles and talks to organizations, such as the International Athletic Association and the United States Sports Committee, have helped Judd to become one of the most renowned sports psychologists and hypnotists in the United States. His insights into individual sports, especially powerlifting, far exceed those of most sports psychologists. He is not just another psychologist consumed by the reward of dealing with team sports. Judd also understands the emotions, pressures and different psychological needs of the athletes involved in individual sports. Through his research, Judd has learned to control his heart rate, brain waves, and most importantly, his thoughts. The secret to his great strength lies in these abilities. Through scientific means he has achieved world class status with a body that is not genetically constructed for powerlifting. This book, like his others, is in a class by itself. You’ll love it, and because of it, your performance will improve significantly. I promise. When I first started powerlifting, I was at best a joke. In my first seven meets I finished dead last. I wasn’t just beaten either, at times, I was absolutely destroyed. It wasn’t uncommon for me to find myself two or three hundred pounds behind the leaders going into the deadlift. After the deadlift, well, the leaders weren’t even in sight. I hate to admit this, but some guys could have beaten me without even benching. Their squat and deadlift totaled more than I totaled on all three lifts. Heck, at that time, even women and children could beat me. There was even a joke going around that the U.S.P.F. was going to revoke my lifting card because I was impersonating a powerlifter. At least I think it was a joke. My little sister Mary Jean would say, “Judd, you have to quit competing you are embarrassing the family. She was serious. Obviously, I’ve come a long way in the sport. During my career, I had literally gone full circle-from one of the worst lifters to ever step on a lifting platform, to one of the best. And I did all that with a body that is not genetically constructed for powerlifting. In fact, it’s been said that I have the body of an 11-year-old stamp collector and that my legs are so skinny they look like a pair of pliers in shorts. How did I do it? Well it wasn’t the way I stacked or staggered some anabolic drug. In fact, I’ve never taken any drugs. The way I achieved world class status was through my mind. I learned to play the game of powerlifting above my shoulders. Through scientific means, I learned to take control of my environment, the people in it, and best yet; I’ve learned to take control of myself. The secret to my success and strength lies in these abilities. The best part of all this is that you can achieve these abilities just as I have. That’s what this book is all about. It’s designed as a learning manual and was written with the intent of presenting a systematic approach to prepare you for powerlifting competition. The methods in this book are based on scientifically validated research. They will work whether you believe in them or not. The only thing that is required is understanding and practice. If you apply the concepts outlined for you in this book, I flat guarantee you that your competition total will increase significantly. I’m not just blowing smoke here either; I’m speaking straight from the stone tablets. I’ve seen Dr. Judd’s column for years in Powerlifting USA. After reading PSYCH, I know why he is so popular. 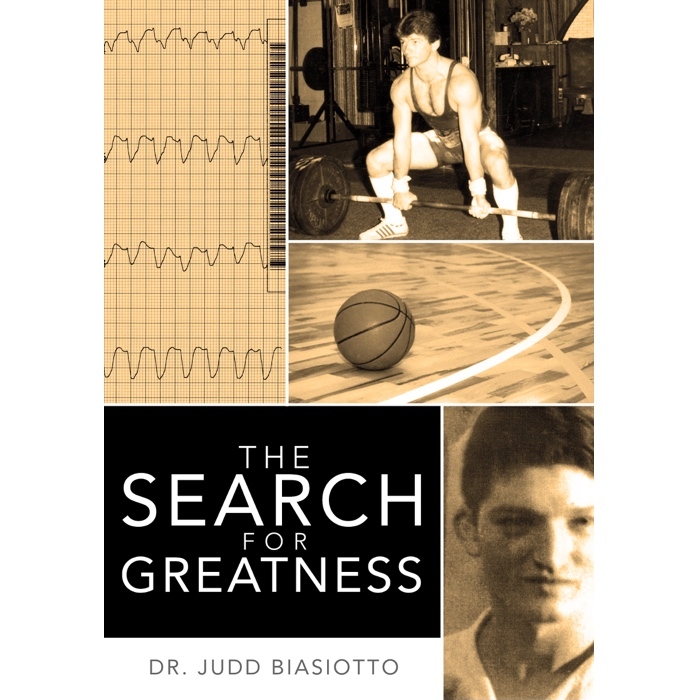 Not only was he an over-achieving and champion powerlifter, Biasiotto is a keen observer of the general sports scene and an experienced sports psychologist. He is also a wonderful writer and story teller. People who enjoyed his column will love and benefit from PSYCH. It’s is a good read for anyone interested in maximizing their potential. Dr. Judd has done it again. 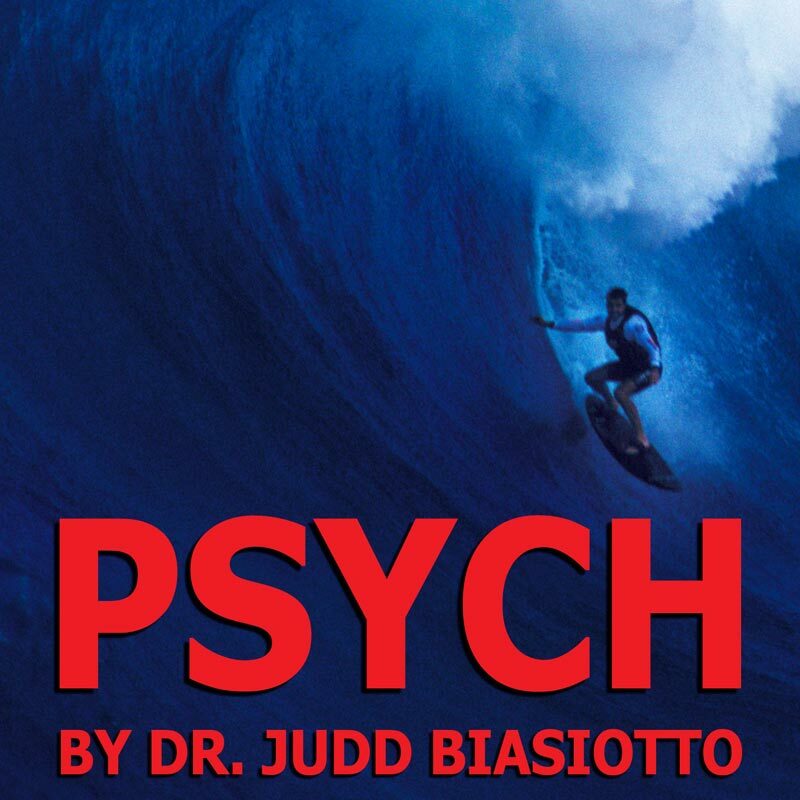 Psych joins his other books as both a good read and thoroughly informative. Dr. Judd points out that many athletes neglect the sport psychology portion of their training and this concept needs to resonate with both coaches and athletes alike. 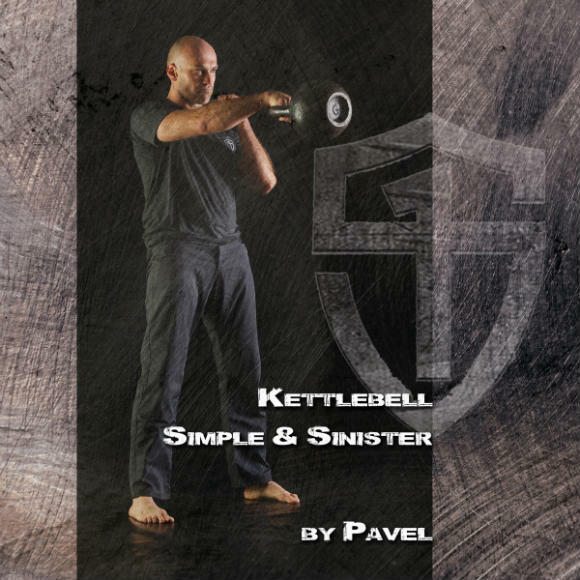 In this book he gives the reader/athlete/coach all the tools and the theory behind why they should be using these techniques. A wealth of Sport Psych information that should be on every athlete’s and coach’s book shelf. I have read this book cover to cover and have gone back and read many things multiple times.